Why is charisma so crucially important to today’s corporations? And how might its misuse have been responsible for bringing the world’s financial system crashing to its knees? 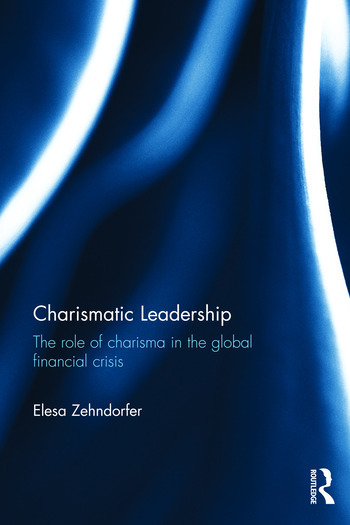 Charismatic Leadership: The role of charisma in the global financial crisis provides a theory-driven and intuitively appealing analysis of the role that charisma played in the global financial crisis of 2008. It looks at how charismatic leadership can contribute to organizational effectiveness, but also considers the destructive potential of its darker side. It examines the role of charisma in fuelling investor irrationality, and the endogenous instability and boom-and-bust cycles that characterize the markets. This book unites both academic and practitioner-led approaches to produce a text that is at once stimulating and informative. Expert insights written by financial sector leaders in the ‘View from the Markets’ sections, alongside mini case studies and end-of-chapter questions, enable the reader to consolidate key theoretical points covered in each chapter. It will be of interest to advanced students and scholars in the fields of leadership and organizational studies, as well as professionals with a keen interest in this area. Elesa Zehndorfer is currently the Research Officer for high-IQ society British Mensa and a Research Associate of the Bhubesi Pride Foundation. Formerly Secretary of the International Federation of American Football (2011–2015), Dr. Zehndorfer has held senior lectureships in both sports and business faculties, and has presented at a number of North American and European conferences. Author of Leadership: A Critical Introduction (Routledge, 2013), Dr. Zehndorfer obtained her PhD from the Institute of Sport & Leisure Policy at Loughborough University in 2006.